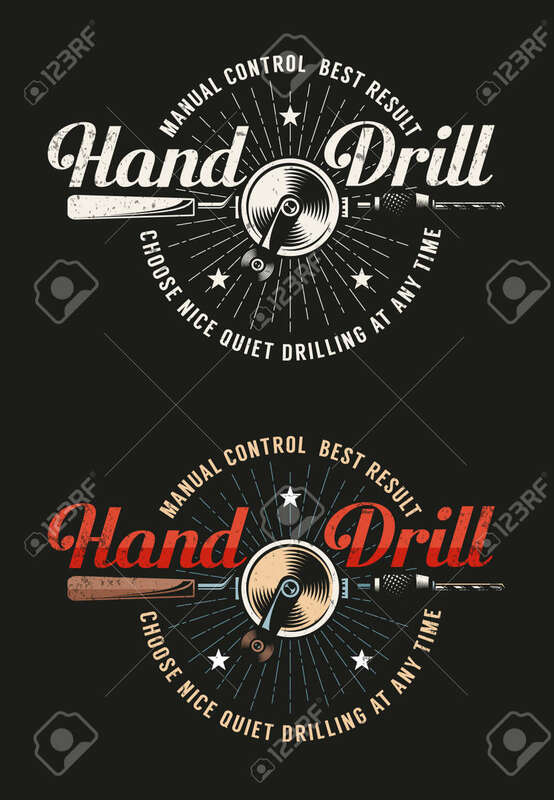 Retro Workshop Emblem With Hand Drill. Grunge Texture On A Separate.. Royalty Free Cliparts, Vectors, And Stock Illustration. Image 107345486.